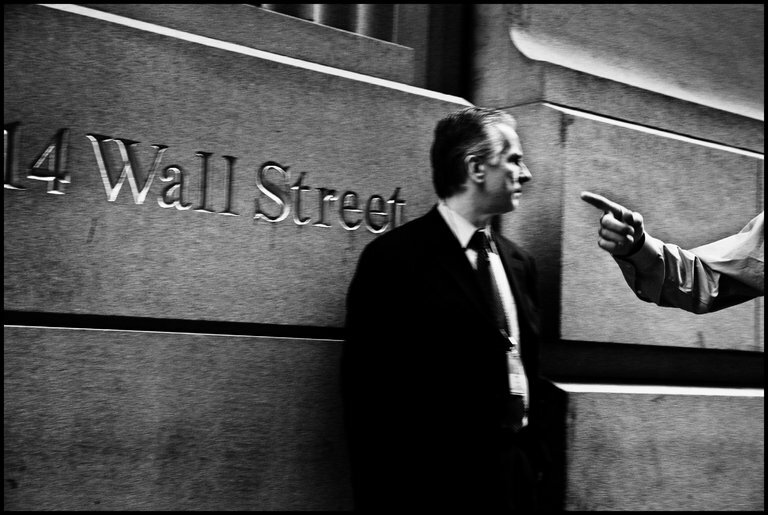 Wall street – stereotypically defined as a place where arrogant business men work and play. They lie and they cheat to gain their profits and never seem to exemplify any sort of business ethics, yet we rely on them for our stock market and the rise and fall of our economy. 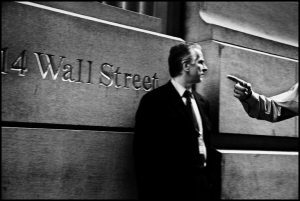 In examining this article, “If War Can Have Ethics, Wall Street Can, too” by Nathanial B. Davis, a New York Times reporter, some rather alarming statements were made and some even better questions were raised. The article in whole discusses the concept of a “moral economy” where we take the practices of good ethics and morality and apply them to our constantly corrupt economic industry. This steadfast and quick paced vision of wall street is, contributes directly to the wide-spread economic inequality. Many people in society struggle to keep up with basic needs and demands in our economy, and they have to also push back against the people and the system that doesn’t care nor seem to want to improve the way they conduct their business. Hedge funds and investment banks, where people turn to to invest their money and make profits, often use high-speed trading. This trading system puts individual investors at a large disadvantage because it doesn’t allow them to analyze where their money is going or deciding weather it is a good business move or not. We as a society regulate war and implement moral codes and proceedings and laws in order for it to be conducted in an ethical manner. Why can’t we do this in the economy? With moral practices in the economy the markets would be able to eliminate harmful activities and in turn bring more societal benefits. These benefits, from a new moral understanding, could provide a larger distribution of wealth which in large would be a better societal outcome. Again, this implementation of moral principles would have a complete domino effect not only on the physical economy but would allow the inner workings of the firms to have better work environments. Chief executives could begin to care more about their employees and in return their employees might even perform better. All in all, a change in ethics can completely change the wall street we know now. The war on ethics is one to fight for in order to stop inequality, spread our wealth, and maintain a healthy and thriving economy for the population at large.